Generally the frequency of use will determine your power options. Petrol attract the lowest upfront cost, however for those putting big hours on the machine find that the diesel is the cheapest option in the long run. Our sales reps have a handy guide that helps you determine which mini skid steer loader is best for the hours you plan to put on the machine. As residential blocks in inner cities are becoming smaller, private contractors, pool installers, landscapers etc have started to require a narrower machine. The 2 Series track machine is our narrowest in the fleet at only 770mm wide. 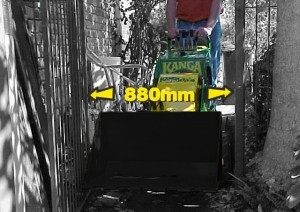 Even the large 8 Series machine maintains a width of just over 1 metre. 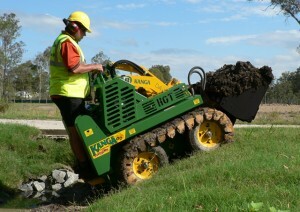 Carefully think about what access restrictions you may face before purchasing a mini skid steer. 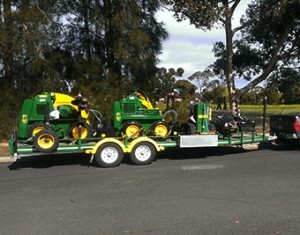 The towing capacity will determine which sized loader and how many attachments you can fit onto the trailer. The most common type of trailer is our 2tonne alloy as it can fit a 6 series loader with trencher, 4in1 bucket, power head and 3 augers comfortably under 2T. For customers with trucks that have a larger towing capacity, the tandem steel is the popular choice. 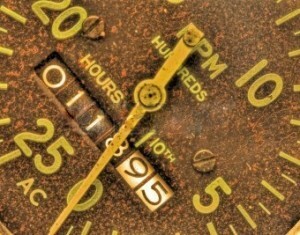 One of the most often overlooked factors is cost of ownership. While upfront costs are one consideration, it is over time and throughout the ownership experience that the hidden costs can often become clear. Operating costs, resale value, support network, resources and technical help, as well as a reliable service centre are all equally as important as the initial transaction. 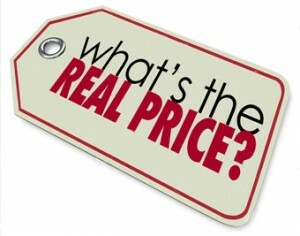 When buying a new mini skid steer, don’t just look at the price tag. Think about how much it will cost in the long term, too.